We have dropped to 12th place on day two but we have maintained our 200+ daily metres so if we keep up our daily metrage we should be able to break back into the top ten within the week! 31 team mates have signed up for the challenge and the following 19 have uploaded their metres - thanks ETT'ers! I've been having green smoothies post-workout at the moment with added whey powder for extra protein. 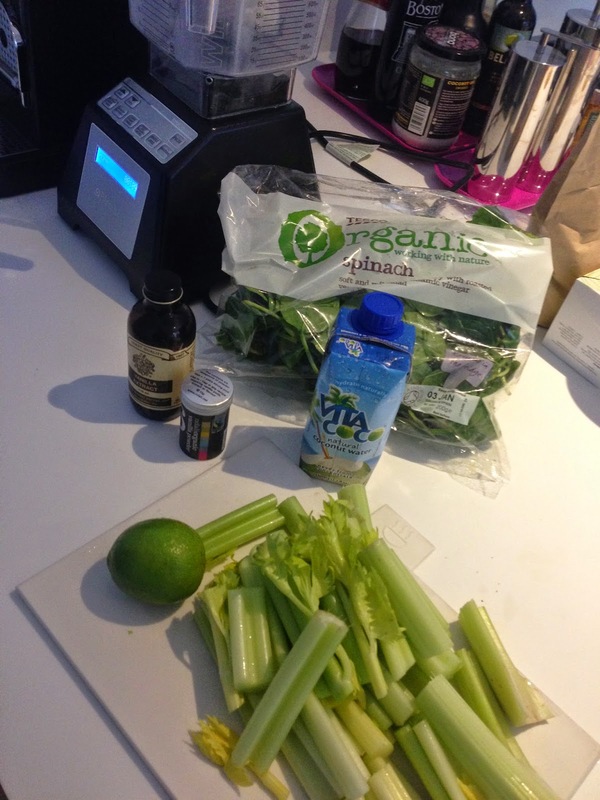 Here is what I had in today's smoothie: Organic spinach, celery, coconut water, vanilla extract, a lime and whey powder. Totally yummy - in a very green-good-for-you sort of way! Have you started any healthy habits for the new year? Happy new year everyone - hope it's a good one. I'm just back from holiday so got some serious catching up to do. BTW some of the drinks on holiday had limes in too to make the tequila more palatable! Ha - good one Ken, although I wouldn't recommend drinking tequila and lime before erging! Hi Diggy - sorry to hear about your backache. Hope it sorts itself out soon.